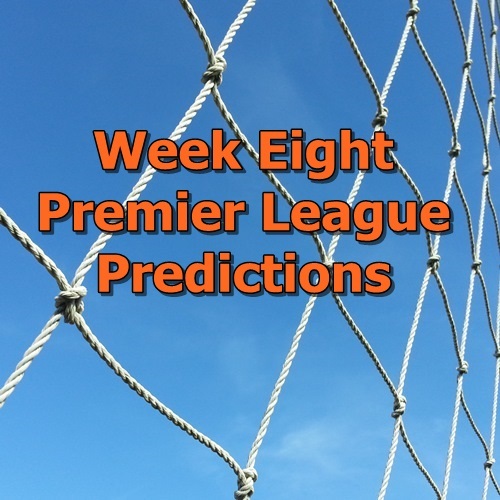 Coming up on week 8 in the Premier League and the narrative for the season continues to be rewritten on a weekly basis. Each weekend that looks set to relevel the field simply throws up more unpredictable results. Newcastle managed to earn their third point of the season with their 2-2 draw against Chelsea who remain mired at the bottom half of the table. They do head home to the confines of Stamford Bridge to host Southampton who returned to winning ways against Swansea City. At the top of the table Manchester United travel to London to face old enemies Arsenal. United currently sit at the top of the table following their 3-0 win over Sunderland and their 16 points is three more than the fourth placed Gunners. This should be the marquee match of the weekend with both teams finding their scoring boots in recent matches, particularly with Arsenal’s 5-2 dismantling of Leicester City. Still, there are questions marks for both teams. United has only recently begun to score goals and has become reliant on the teenage Anthony Martial. Arsenal, meanwhile, have struggled to keep teams scoring, including Leicester City. Louis van Gaal has shown that he knows how to manage these big games even if their three matches last season (two Premier League and one FA Cup) saw them even with 2-1 victories apiece and a 1-1 draw. I’m predicting a similarly low scoring affair this Sunday. Man C have a very favorable match-up at home to Newcastle United which also makes them a great team to pick for FPL leagues, especially in weekly formats like Fanteam or Togga’s Perfect XI (Enter Premier Soccer Chat with Code: BC9KYH9JSN). Of course the Everton v Liverpool derby could be an interesting one, especially with both teams going into week 8 off the back of 3-2 wins. I’m predicting a relatively low scoring match since this fixture tends to be a cagey affair with neither team wanting to lose.